Two awards at once are being handed out at this year’s LASER World of PHOTONICS, the world’s leading trade fair, taking place in Munich from June 24 to 27: The Innovation Award, being conferred for the first time, honors the best product premieres by exhibitors, while the Start-Up Award, now being presented for the third time, is directed at young entrepreneurs offering innovative solutions. The awards are worth 5,000 euros apiece and are being bestowed in collaboration with British publishing house Europa Science. 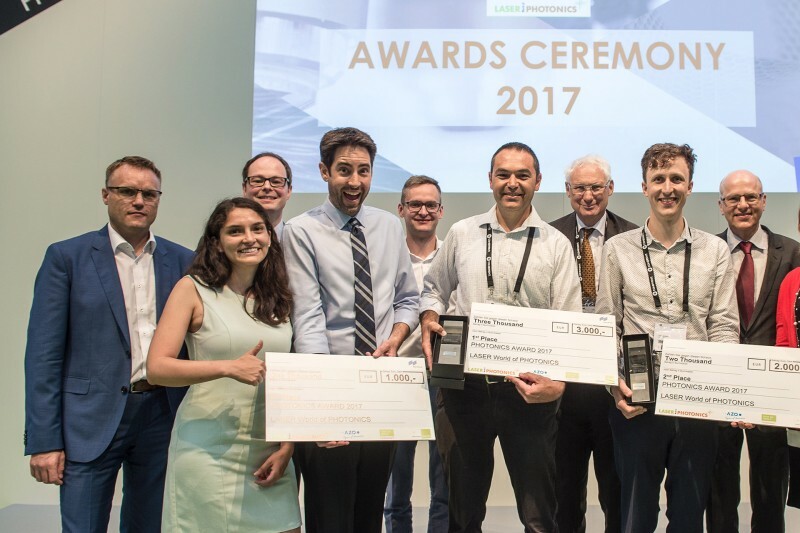 A sensor capable of contactlessly measuring more than 20 vital patient signs—this solution won the Israeli-Spanish-American team from ContinUse Biometrics the Start-Up Award at LASER World of PHOTONICS 2017. “The Start-Up Award contestants are living proof just how many innovative ideas are being generated by photonics. Which is why it isn’t just the established Start-Up Award being conferred at LASER World of PHOTONICS 2019 but the Innovation Award as well. This enables us to give innovation an even bigger platform”, says Katja Stolle, the trade fair’s Exhibition Director. The closing date for both awards is March 29, 2019. A top-quality jury for each accolade will select the finalists for both the Start-Up Award and Innovation Award from among the innovation submissions. The announcement of the winners and presentation of the awards will take place at LASER World of PHOTONICS.